A new and exciting partnership with Backyard Discovery! Backyard Discovery manufactures wooden playsets. You’ve probably seen their products at Walmart, Sam’s Club, BJ’s, and Toys “R” Us. We’re getting one of their new playsets installed in our backyard tomorrow. I’ll be blogging, vlogging, and tweeting about our experience with the set, as well as documenting our adventures in several guest posts for the Backyard Discovery website. And for those of you that are lucky enough to live near me, you may even be invited to a special backyard play date! In exchange, Backyard Discovery will be covering all my expenses associated with the BlogHer ’10 conference this summer. We’ve been playset owners for 5 years now, so I understand how much though goes into this type of purchase. From researching the playset itself, to figuring out where to put it, what type of mulch/wood chips to put down around it, and maintaining it… it’s tough! Such a worthwhile investment, though! With sets starting at just $399, Backyard Discovery’s playsets aren’t too hard on the pocketbook, and judging from the descriptions and reviews I’ve read online, a great value. They’ve just released their new line of swing sets and playsets for 2010… you’ll find the classic belt swings and slides, but also fun accessories like steering wheels, telescopes, rock walls, and trapeze bars. Plus, they have no chemical treatments and are made of 100% cedar, which makes them naturally decay, rot and insect resistant. We’re getting The Highlander, pictured above, and are so excited about it! With four levels of fun, this playset has two belt swings, a two-person glider, and a wave slide. The lower level has a picnic table and space that we can use as a storage area for toys or maybe even as a sand box. There’s a ladder to climb, and a rock wall, for more of a challenge. But the four-level fort is what my girls are really looking forward to! Our old swingset was taken down a few days ago to make room for The Highlander… I’m eager to see what makes Backyard Discovery’s playsets different from the rest. Visit www.swingsetsonline.com to see Backyard Discovery’s complete range of playsets. Disclosure: As part of an ongoing relationship, Backyard Discovery provided my family with the wooden playset pictured above, and will be covering my BlogHer ’10 conference expenses. Wowzer! Love the new swingset you are getting. My husband protested getting a swingset when our oldest was 18 months. Best investment we ever made in a child’s toy. Have had over 10 years of use.It has been knocked down twice by wind…still standing with heavy anchors on legs! Back then the 100 percent cedar swingsets were astronomically expensive — too pricey for us. Now the cedar swingsets are more readily available plus cheaper. .-= MusingsfromMe/Jill´s last blog ..Your Kid Will Be a Happy Camper at KinderCare! =-. That is awesome!! I am sure your family will LOVE it! .-= Christine´s last blog ..Sunday Stealing – The Eight Tens Meme =-. Very exciting! I bet your girls will LOVE it! Can’t wait to hear how you all like it. .-= Nicolle B.´s last blog ..Wordless Wednesday: Hidden in Pillows =-. How totally awesome! Not only for you and Blogher, but for the whole family. Your little girls must be so darned excited!! Enjoy it and I can’t wait to see what you write about it!! .-= Cathy´s last blog ..Wordless Wednesday – Free Range Chickens! =-. .-= Jackie @ FREEISMYLIFE´s last blog ..Living for the (FREE) Weekend in Metro Detroit – March 26th – March 28th =-. Do you know who the manufacturer of the playset is? And does it have the hardware for the extra swings? Sometimes you can order directly from the company. If it’s a Backyard Discovery brand, for example, you can order accessories online at http://www.swingsetsonline.com. Their brands: Create-N-Adventure; Adventure Playsets; Backyard Adventure; and Leisure Time. If you’re not sure of the brand, you might have some luck at homedepot.com, where you can find a variety of playset accessories from other brands. I’ve only seen these for sale online, though. Thanks! I’m going to try to figure out the brand when I get home. .-= jodifur´s last blog ..And The Decision Comes From A Bunny =-. That is an awesome partnership girl!!! Congrats and so excited to hear more about this! I am so in the market for a nice playset for my backyard .. the kids have outgrown their toys … Baby K can still play with most of the smaller “plastic” type toys but they are fast growing into those larger sets! Good luck and can’t wait to read more!!! Oh and CONGRATS again!! .-= Brandy´s last blog ..Top 10 Tuesday: Friendship Is … =-. congrats! We had a playset like that one with a climbing wall all the way to the top of covered area/fort. It got years of play out of it and was worth what we paid for it. It was a neighborhood favorite. When we sold the house; we learned they kept the playset and just re-stained it. One of my favorite pics of it was during a birthday party when all the kids tried to be on it at once – there were 12 kids. That is an awesome playset. My kids would love it! Right now it’s not in our budget but maybe in a year or so. Congratulations and I can’t wait to hear more about your fabulous swing set! 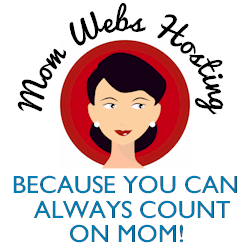 .-= Leticia- Tech Savvy Mama´s last blog ..TeachMama’s Amy on Computer Games for the Little Guys =-. Congrats on the partnership and the great playset! .-= Sharon @momondealz´s last blog ..Lynnhaven Mall Discounts and Coupons =-. We are seriously considering buying the Highlander from Sam’s Club (the exact one in your picture). How are you liking it? The angled beams on the swing side seem so thin to me (1″x4″? )…we just can’t decide if we should spend the money on this one or save for a more expensive model with thicker lumber. Thoughts/advice greatly appreciated!